Thunderstorms this morning, mainly cloudy during the afternoon with a few showers. High 67F. Winds WSW at 10 to 15 mph. Chance of rain 100%.. Considerable cloudiness with occasional rain showers. Low 43F. Winds WSW at 10 to 20 mph. Chance of rain 60%. The Xavier Chapter of the Daughters of the American Revolution placed this stone monument which names both Sevier and Kingfisher at the corner of Branham Avenue and South Broad Street in October 1901. The north entrance to the Kingfisher Trail is nearby. At the corner of Branham Avenue and South Broad Street stands a lonesome stone monument. The stone commemorates the west bank of the Etowah River as the ground where in 1793 a band of Cherokee and Muscogee warriors led by Kingfisher made a stand against the United States, and a small American army sought retribution. The Battle of Hightower, sometimes referred to as the Battle of Etowah Cliffs, can be traced back eight years before to the 1785 Cherokee Treaty of Hopewell, one of three treaties negotiated and signed at Hopewell Plantation, Clemson, S.C. (The plantation house is today maintained as a historic site by Clemson University.) It was resolved in article III of the treaty that the Cherokees would be under protection of the United States, Article IV plots which lands were to be allotted for their hunting grounds, and article V has language on European encroachment, reading in part, “If any citizen of the United States, or other person not being an Indian, shall attempt to settle on any of the lands westward or southward of the said boundary which are hereby allotted to the Indians for their hunting grounds ... such person shall forfeit the protection of the United States, and the Indians may punish him or not as they please ...” As European settlers pushed ever westward over the Appalachians, however, they inevitably encroached on the lands of Cherokees. The 1785 Treaty of Hopewell was further verified and updated by the 1791 Treaty of Holston, negotiated by Southwest Territory Governor William Blount and a delegation of Cherokee chiefs and warriors in Knoxville, Tenn. Articles VII, VIII and IX of the Treaty of Holston stipulate that Cherokee lands were to be protected and that infringement would forfeit the protection of the United States for any settlers unwary enough to do so. Article X of the 1791 treaty stipulated that any Cherokees who commit capital offenses, robbery, murder, etc., would have to be delivered to the United States for punishment. Conditions were ripe for a maelstrom. The events leading to Hightower began 166 miles away. According to Charles H. Faulkner’s “Massacre at Cavett’s Station: Frontier Tennessee during the Cherokee Wars,” as disputes between settlers and Cherokees in the Southwest Territory went unresolved, anger boiled over, resulting in an attack on a treaty party including Cherokee Chief Hanging Maw and his wife near Knoxville. A group of 1,000 Cherokee and Muscogee warriors went to retaliate against Knoxville on Sept. 25, 1793. Fearing their plans had been discovered, the warriors directed their attack on Cavett’s Station, a farm in what is now Knox County. 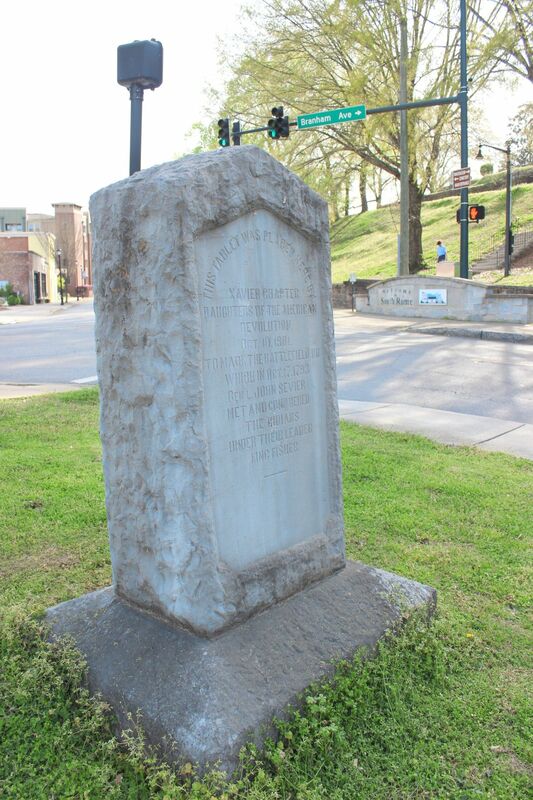 Across the river from Knoxville, Brigadier Gen. John Sevier and 400 of his men were roused to action. The Etowah Campaign was underway. For more on the historic battle, see next Sunday’s Rome News-Tribune. Ross Rogers is a newsroom assistant and staff writer at Rome News-Tribune. He may be contacted at JRogers@RN-T.com.